Saturday was the second day of the Chicago’s most popular music festival, and Paloozers did not slow down. 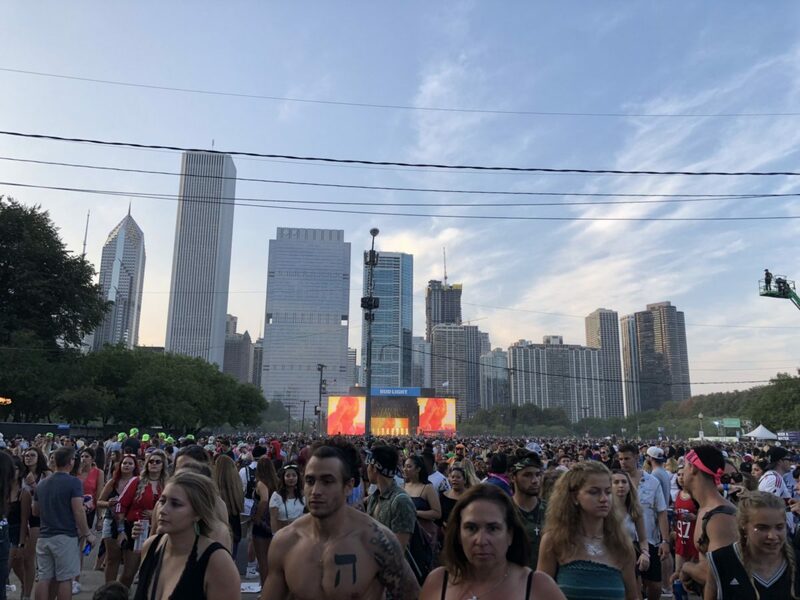 Grant Park was even more crowded than the previous day, as fans were eager to see Post Malone, Tyler, the Creator, Bebe Rexha and headliner Bruno Mars, among other artists. Not only did more people swarm to the festival, but they became rowdier as the day went by. Daredevils climbed trees and set equipment and light fixtures for better vantage points of their favorite artists. Despite being the coolest forecasted day of the festival — 83 degrees compared to the 95 degrees of the other days — the heat was sweltering and the atmosphere couldn’t be matched. As a teenager, Tyler Okonma, known as Tyler, the Creator, leveraged visibility from the music video for “Yonkers” in 2011 to build somewhat of a cult following for himself. Since then he has gone on to produce a television series for Adult Swim, design his own clothing brand, and direct his own festival. At 4:30 on the Grant Park stage, the Flower Boy bloomed before a massive crowd with a balanced mix of past and present projects. 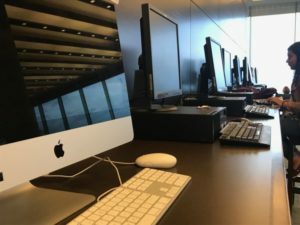 He did just this with by throwing in older tracks from previous albums, such as “Tamale,” “Garden Shed,” as well as “Who Dat Boy” off of his latest album. He continued to delight the crowd by performing looser songs that he has recently self-released on Youtube along with “November,” “Glitter,” “I Ain’t Got Time!,” and “See You Again,” to which the whole crowd followed along in song. In years past, Tyler has received pushback from the media and was even banned from several countries for fear of inciting riots with his dark, taboo lyricism. His latest album departs from this past image. Flower boy is the creative capstone of his rowdier days and a transition into a more commercially acceptable artistry without compromising his initial identity. There were two types of people at The Neighbourhood’s set: loyal fans of the band and those who wanted to get good spots to see Post Malone. The Neighbourhood and Post Malone played back-to-back sets at adjacent stages, giving The Neighbourhood a larger audience, since a large portion of the festival’s attendants were waiting for Post’s set. To close out their rockin’ set, The Neighbourbood performed “Sweater Weather” — the song that put the band on the radar and increased their internet presence, especially on Tumblr. Halfway through the set, Jesse Rutherford, the bands lead vocalist, took off his shirt and proceeded to crowd surf. He ended up at the barricade to a restricted area and began greeting and taking pictures with fans. Before heading back to the stage, Rutherford kissed his girlfriend, who stood at the sound booth cheering him on. The “Rockstar” rapper and singer Austin Post, known by stage name Post Malone, drew an enormous crowd, stealing audience members away from other viable concert options such as Greta Van Fleet and Malaa. The artist, who drinks a lot of Bud Light beer — he even has the brand’s vending machine in his home — was appropriately scheduled at Lollapalooza’s Bud Light stage. The north end of Grant Park was packed with Post Malone’s fans who were pumped and ready to sing along to every one of the artist’s songs. The fan-favorite artist showcased his talents and raw emotions by performing some songs a capella with a guitar. Having just gone through a break-up with his longtime girlfriend, Post dedicated “I Fall Apart” to his ex-girlfriend who broke his heart. Post publicized his heartbreak and devastation by cursing his ex, and the thousands crowding the stage followed suit. While the majority of the crowd jumped up and down and sang along to songs, some felt more adventurous and decided to climb set equipment stationed in the field. Capturing some of the audience’s attention, one man bravely balanced on a atop a pole, sending nervous energy through the crowd. Festival-goers gathered for Post Malone as much as they did for that day’s headliner, Bruno Mars. Post knows how to entertain a crowd and being among the thousands of bodies crammed together at the Bud Light stage is a worthy sacrifice. As many of the festival attendees headed over to see Bruno Mars, who introduced his set in the most on-brand way — with fireworks — others headed to see London-based modern soul band, Jungle, at the American Eagle stage. The band played Lollapalooza back in 2016 and came back this summer and put on an incredible live show. The American Eagle floor was filled, but not jam-packed, leaving room for breathing and dancing. Jungle attracted an older age group — middle-aged men were bopping around and having a blast, jamming out to Jungle’s soulful music. The group, whose lead vocalists are Tom McFarland and Joshua Lloyd-Watson, performed hits from their first album, Jungle, such as “Busy Earnin’,” “The Heat,” and “Time.” Having been on a hiatus since releasing their eponymous album in 2014, Jungle is releasing their second album, For Ever, on September 14. For Ever features previously released singles “Happy Man” and “House in LA,” which the group performed for their audience on Friday. Jungle wasn’t very interactive with the crowd, which allowed everyone to focus on the music at hand. But interactive or not, the band was vibing with the crowd and atmosphere.